Sugizo, born July 8 1969 in Hadano, is a Japanese guitarist, violinist, singer-songwriter and producer. He debuted in 1989 with the legendary band Luna Sea. After Luna Sea went on a break from 1997 to 1998, Sugizo started his own solo project and opened the independent labels Cross (4) and Embryo (3) to produce other artists and bands. After Luna Sea disbanded in December 2000, Sugizo remained mostly active as a solo artist and played in several session projects like SHAG, S.T.K. and Sugizo & The Spank Your Juice. From 2004 to 2006 he has been member of the band The Flare. After The Flare disbanded Sugizo revamped his solo project, opened a new label called Sephirot and joined the English project Juno Reactor. He is also a member of the Japanese supergroup S.K.I.N. since December 2006. 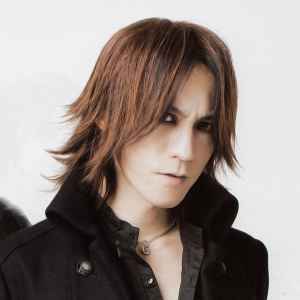 In 2008 Sugizo started working as a session guitarist of X Japan, and eventually became an official member in May 2009. In 2010, LUNA SEA announced their complete revival through press conference in Hong Kong.